Home » Gold investment versus Property – is property losing its shine? Gold v Property. Which is a better investment? The decision of where best to invest your money is an important one. Buying property has been a favoured choice for UK investors for years. Returns have been excellent and the physical nature of bricks and mortar has appealed in its simplicity. But choosing the right property and managing it isn’t straight forward and now investing in real estate in the UK is less lucrative due to legislative and market evolutions. Over the past decade, the very same investors who feel comfort in property’s simplicity, are starting to turn their attention increasingly towards another unfussy tangible asset – gold. So which asset is better – gold investment or property? You have to be lucky with timing. Certainly I stick with the first rule religiously, which is why I’m a big fan of both physical gold investment and property. They’re both simple, tangible assets, with an intrinsic value. And whilst I agree with the second rule – that there’s always an element of luck involved, I also believe intelligent, strategic thinking can vastly improve your chances of great timing. Trying to predict the market and repeated switch from one asset class to another requires extraordinary luck, which soon runs out. Let’s start by comparing the performance of these two asset classes, in the UK over the past 3 years. The UK House price index shows a 14.2% increase in average UK house prices in the period from June 2015 to June 2018. Just under 5% per annum capital growth in a low-interest rate environment sounds pretty good. Add in rental income and it’s easy to understand why property is such a popular UK investment. However, when you drill into the figures, returns vary considerably from region to region which adds a layer of complication to the investment. Buying in the next ‘up and coming area’ can be down to as much fortune as expert insight. Go back further to 2008 and average house prices have risen from £181,000 to today’s £224,000, an annual increase of 4.2%. This encompasses the period of super low-interest rates. However, when we look at figures for the past 12 months, average UK house prices have risen a mere £3,000 or 1.3%. Even more significantly, key areas such as the usually thriving London market are now starting to see monthly falls in prices. Speak to any estate agent and they’ll tell you that the current market seems to be softening month on month. Rather than houses selling above the asking price, vendors are being forced to offload properties at discounts due to flailing liquidity. The below chart from www.home.co.uk clearly demonstrates the fact that housing inventory is lingering on estate agents’ book for around 15% longer than a year ago. For simplicity and better comparison, let’s just focus on the gold price in Sterling terms. In the past 3 years, the UK gold price has risen 25.9% from around £770/oz to £970/oz. That marks an impressive 8.5% annual return. This outperforms UK property prices in the recent past. How much is a gold bar worth? – Watch this video to find out! However, it’s important to note that while house prices tend to rise or fall steadily in one direction, the short term gold price is far more volatile. Returns over the past 3 years are very strong. But looking at the 6months from June 2015 to December 2015, the gold price fell around 7% in the UK. This makes the overall 25.9% increase even more incredible, but also clarifies that gold should be deemed a medium to long term buy and hold rather than short term speculation. Taking a further step back and analysing gold’s returns over the past decade as even more remarkable. The spot gold price has risen from around £450/oz (June 2008) to the current £970/oz (June 2018). That’s an astonishing 115% increase or nearly 12% per annum. If you’re a property fan, considering adding to your investment portfolio in the next year, you may instead wish to consider investing in Tax Free Gold. Clearly, purchasing an investment property outright requires a large amount of capital. With average property prices above £224,000 in the UK, many people will find the market inaccessible. Focussing on more modest properties such as studio flats, perhaps in less salubrious areas will certainly bring that figure down. But even small apartments in less desirable locations will require substantial investment figures. Most real estate investors will seek a mortgage to bridge the funding gap. However, obtaining mortgages is becoming increasingly difficult. Since the 2008 credit crunch, lending rules have tightened alarmingly with many buyers being with high credit ratings being turned down. The desire of lenders to seek new business is being crimped by their fear of defaults which has led to a far more strenuous lending process. Even more significantly, the deposit required to obtain a buy-to-let mortgage has risen dramatically from a common area of 5% a decade ago to a more usual 25-30% nowadays, which instantly eliminates those with more modest means. Major estate agents Savills predict mortgaged property investments to fall a staggering 27% in the next 5 years. Schemes to buy fractional ownership of property is available for those unable to afford a whole property, but this now enters a different realm, introducing a raft of other risks. While the perception or gold investment is that it’s just for the rich and famous, gold is in fact relevant to all of us regardless of wealth. Over the past decade an increasing number of gold dealers have developed online platforms to purchase physical gold coins and bars with free insured delivery or convenient storage. Increased competition, live pricing technology and transparency has made the gold investment market very accessible to everyone. While loans and leverage aren’t provided for physical gold investment, investors are able to pay by debit or credit card, as well as online transfer. With many of the world’s major manufacturers such as The Royal Mint now producing favourite coins such as the Britannia and Sovereign in small fractional sizes, starting points for investors is around £100. With such low possible investment, gold investment is affordable to everyone. A big difference between property and gold investment is that the latter offers discounts for larger quantity investments. So the price per gram when investing £100,000 is far lower than for £10,000, which in turn represents better value than buying £1,000. With that in mind, while £100 starting point is possible, it doesn’t necessarily provide good value investment. Once investors buy a few thousand pounds worth of physical gold, decent discounts begin to kick in. One of the major appeals of investing in the housing market is the double whammy of possible capital appreciation and rental income. While capital appreciation is unpredictable, many property investors have made vast sums of profit simply from buying and selling at the right time. We all know that when the UK property market is on fire, prices can be like a steam train. can agree longer term agreements with tenants. With high property prices excluding many UK residents from affording to own their own property, demand for rental property is high. The prospect of passive income is one of the main attractions of building a property portfolio, especially for those more mature in years, who still require an income. Leading estate agent Knight Frank believe overall UK rental values will rise by 1.2% in 2018, but warn that London and the surrounding areas will actually see falls of 0.7% or more. The risk of rental income is that tenants can default on payments, especially with wages stagnant or negative, but living costs rising. There’s also the prospect of having certain periods with the property unoccupied and receiving no rental income. This can represent a cashflow challenge as buy-to-let mortgages still need to be paid during such times. Gold returns depends on which type of gold investment you own. Gold funds and mining shares can appreciate in value along with offering dividends. However, for the sake of this comparison, we’ll just consider physical gold, as it’s tangibility makes it the most suitable alternative to property investment. 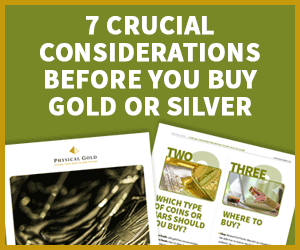 Unlike owning and renting a property, buying physical gold as an investment will not provide an income. For this reason, mature investors in need of an income, tend to focus on bonds and properties to provide this. They tend to supplement these investments with gold as a form of portfolio insurance. Investors own gold coins and bars in the hope that both the gold price and type of physical gold appreciate in value. Appreciation is calculated according to the underlying gold price multiplied by the weight in gold that an investor possesses. Gold has more than kept pace with inflation over the years and has risen in value, especially during times of economic and political instability. In a similar way that Victorian properties can be more valuable than brand new houses of similar square footage, Victorian gold coins can be worth more than brand new coins. But while premiums on period properties is generally fixed, older gold coins can continue to rise in value quicker than just the underlying market, providing a boost to profits. The ease with which an investor can offload a property will depend on the type of property, the state of the market, and the location. The first element is in your control. Sticking to more modestly priced properties will increase the number of possible buyers for the property, speeding up the selling time and improving the price achieved. One and two bedroom apartments near to major transport links tends to be the sweet spot, and most resilient to market conditions. How does location impact liquidity? On a macro level, trying to sell a property will be impacted by the particular region the property is located. We’ve already seen how London is currently underperforming other areas of the UK at the moment with housing stock proving stickier at current levels than cheaper areas. This can come down to timing and luck as hotspots can change regularly. London is renowned to be one of the most liquid areas usually due to the high demand to live in the capital. If your property’s location has become trendy, sales can be sped up considerably. On a micro level, buying properties near to train stations, amenities and desirable green land, can all speed up the process when it comes to selling. If the property market is in a state of decline, selling a property can be very difficult. In these circumstances, sales can take many months or even years. With mortgages becoming increasingly difficult to obtain, being let down by another party in a long chain of buyers and sellers, can be frustrating at best and a nightmare at worst. Gold’s liquidity is one of it’s great appeals. Regardless of whether the gold price is busy or quiet, gold investors can achieve a sale within a day or two if needed. Rates that dealers pay for your gold will vary depending on the state of the market, but differences will be a percent or two at most. 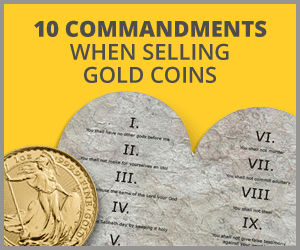 In a similar way to buying the right property, selecting whether to buy gold coins or gold bars for example, can impact the ease in which it is to eventually sell. It may sound obvious, but buying a 1 kilo gold bar (which costs around £35k) means that you cannot sell £15,000 worth of gold if you need to raise funds. Obviously the same goes with property – you can’t sell half if you need. But buying £35,000 of 1oz gold coins, would enable the gold investor to sell in any increment they want. Does the type of gold coins matter? Buying the right type of gold coin also enhances its liquidity. Coin collectors will likely need far more time to sell their unique gold coins as they have a narrower buyer base. These numismatic coins are likely worth many times their simple gold content, so more time is needed to achieve the price. Sticking to well known bullion coins, will enable a super quick sale to a gold dealer at a good price. General residential buy-to-let properties are becoming less tax efficient. Unfortunately, there are tax burdens when you buy, while holding the asset and when you sell. Stamp duty is a tax when you purchase a property, based on the purchase price of the house or flat. Each higher bracket of stamp duty only applies on the value amount within that higher bracket. Properties below £125,000 in value are rated zero percent, with 2% charged up to £250,000, 5% up to £925,000, 10% on homes up to £1.5m and a colossal 12% above that. Once you consider the conveyancing fees as well, it costs a huge sum in tax just to get started. Even worse, in April 2016, an additional 3% stamp duty is applied to all these brackets for buy-to-let properties. (see details below in the ‘4 Major Threats to Property’ section). If you’re renting out a property, then income tax is applicable to the rental income. The ability to offset this with your mortgage costs is also disappearing (detailed in ‘4 Major Threats to Property’ below). comes the double punishment of income and Capital Gains tax (CGT). Selling your main UK residence at a profit is thankfully not liable for CGT. So mercifully, you can ‘invest’ in your own property without the fear of fiscal punishment. However CGT is applicable to gains made on second homes. All you need to know about CGT is that each individual has an annual tax free threshold (around £11,000 each), with any gains above that being taxable. With the scale of property values, this threshold has little chance of protecting you from up to 28% CGT, especially as you can’t sell half a house before the tax year end a half afterwards! While commercial properties can be more tax efficient as they qualify for a Self-Invested Personal Pension (SIPP), residential properties are not a permissible asset. With buy-to-let investors to be hit hard with the fiscal stick, it could see many of them moving some money away from property and into physical gold investment – which has no such tax penalties. As long as you buy ‘investment grade’ gold, your investment is VAT exempt. To qualify as investment grade, the gold needs to be in the form of a bar or coin and at least 22 carats in purity. So that discounts gold jewellery or low purity coins. As we’ve already mentioned, holding physical gold produces no income so there’s no income tax to pay. The real bonus with gold investment is that if you buy the right type of gold, there’s also no CGT to pay on any profits. For UK residents, this means buying British coins with a face value. This face value qualifies the coin as legal tender, for which tax is not applicable. Predominantly, UK gold investors focus their purchases on Sovereign or Britannia coins, which are both classed as legal tender. Even if you wish to invest in gold bars or non-UK coins, CGT can be avoided due to the smaller divisibility of the asset compared with property. Krugerrands for instance are a popular coin which in theory are taxable if you sell at a profit. But due to their modest size, some can be sold before tax year end and others afterwards to spread out any profits, thus keeping within tax free thresholds. With investment properties being occupied by tenants, wear and tear are inevitable. As a land lord you’re obligated to provide upkeep and maintenance of the property for your tenants. Clearly, you have a vested interest to uphold your property’s condition too. The level of these ongoing costs will depend on how well your tenants look after the property, the age of the property and the value. For larger property portfolios, it’s not uncommon for many properties needing work at once, leading to high running costs. Paying a management fee for a company to help this process is common. Ongoing fees to manage tenants and rent are also applied if you’re unable to manage the process yourself. Finally, landlord insurance is required by law, further saddling the property investor with continuing costs. The main ongoing fee for gold is the insurance and storage. For modest amounts of gold, it’s possible to take delivery yourself, reducing ongoing fees to buying a home safe and adding the gold to your contents insurance. But for larger investments, the peace of mind of professional vault storage is comforting. However, insured storage can cost up to 1% per year of the value of the gold, which will rise as the value of gold increases. Any factor which is detrimental to the economy or specifically the housing market, can act as a huge boost to gold investment. As the world’s safe haven asset, economic and political instability which can impact property investment negatively, will likely provide a magnet for investors to gold, as a way of seeking protection. We’ve seen this switch into precious metals throughout the history of gold investment. Bad news for UK property can also put Sterling under pressure as a currency. This indirectly boosts gold prices in the UK, as pricing originates in Dollars and is then converted into Sterling. So a weak Pound increases the price of gold for UK investors. The biggest overseas buyer of UK property in recent times has been the Chinese. They’ve not only been the catalyst for UK property price increases, but almost single-handedly provided momentum to the global economy. It’s not uncommon to hear that an entire block of new flats has been sold within weeks, mainly to the Chinese market. But cracks have started to appear in the world’s second biggest economy, forcing the Chinese central bank to devalue its currency on a number of occasions this year. Stock markets have already reflected the growing concern and accepted that the Chinese bull-run is possibly coming to an end. If, as expected, Chinese demand for UK properties wanes, then we’re likely to see the heat from the market dissipate. China’s size (it contributes more than 13% of global GDP), means a shrinking economy will also impact every other region around the world – further curbing demand for UK buy-to-lets. Equally the wealthy Russian buyers have also held an obsession with buying UK properties over the past decade. With political tensions increasing with Russia, many are pulling out of the UK market, especially with visas harder to obtain. With their focus on the high end London market, it’s no surprise that this is now the region and sector which is most missing their enthusiasm and Ruples. Supply and demand play a key role in both property and gold. With property investment, it’s reassuring that, here in the UK, we have the equation of an increasing population and very limited space to build new houses. Similarly, gold’s demand continues to increase, whilst supply is extremely limited, due to no major discoveries in the past 15 years. However, the squeezed housing supply, currently pushing up UK prices, could be about to explode. Many affordable housing projects are already underway. But it’s the biggest shake up of protected green belt land in 30 years that will provide the catalyst to a surge in UK housing stock. If the proposal to build thousands of new starter homes is approved, it could play a huge role in alleviating the current supply shortage. Whilst property supply may increase, the Government is also determined to hamper demand in a desperate attempt to prevent another financial crisis. In the last few years, the budget specifically targeted UK property investors – adding a huge 3% extra stamp duty for buy-to-let investors starting in April 2016. This applies across the valuation board and will need to be paid in addition to the current stamp duty rates. This equates to an additional £15,000 stamp duty on a purchase of a £500k property. This additional upfront tax burden may put off those looking to enter the market or those wishing to add to their current property portfolio. Post the 2008 financial crisis, banks are now increasingly tight-fisted when it comes to giving out generous mortgages on buy to let properties. Not only is it difficult to get a buy to let mortgage, recent budgets have witnessed reduced tax breaks for buy to let investors, making the asset class less attractive for investors. will impact the income received for all UK buy-to-let investors. Previously investors were able to offset much of their rental income against their mortgage, meaning little or no income tax on the investment. However, this benefit is now being phased out, so anyone owning investment properties will face significant rises to their tax bill. This will not only deter new investment into the market, but may also see existing owners sell to avoid the tax hike. The days of easy money before 2008, witnessed an epidemic of UK house buyers taking out interest-only mortgages. The idea was that the borrower could invest money in the stock market for the duration of the mortgage term and witness growth which out-paced the amount needed to pay of the loan’s notional amount. This would leave them with a bonus nest egg to do with what they liked. But when stock markets failed to make the expected gains, many households fell short of the amount they required. The consequence was that the Financial Conduct Authority (FCA) have applied pressure to lenders to stop giving these mortgages out anymore. Nowadays, interest-only mortgages are only really available on buy-to-let properties rather than main homes. However, with one in five mortgage customers having one of these deals, the next few years could see many homeowners facing eviction. A huge proportion of loans handed out in the 1990’s are maturing over the next few years. And a lethal cocktail has brewed which could hit the housing market and the economy hard. After a decade of ultra low interest rates, many homeowners have continually re-borrowed as their homes have risen in value. This extra money has helped fuel the economy to this point, but it leaves many with very high loan-to-values (LTV) on their homes. With these loans deals about to finish, these homeowners will fail to obtain new interest-only deals. Combine this with interest rates already on the rise, and monthly mortgage commitments could increase ten-fold. Such an impact would undoubtedly witness house prices falling with further rental demand. The continuing uncertainty over Brexit is a cause for great concern when it comes to property market investments. As the gates close for new immigrants, property market demand is likely to be affected causing volatility in the real estate market. It’s unclear what sort of trade deal will be achieved for the UK after its £39 billion divorce bill is paid. Either way, the uncertain journey, regardless of the quality of the final destination, is bad for property markets and supportive of a market hedge such as gold. As was suspected, Brexit isn’t an isolated incident. Not only does the UK’s withdrawal from the EU impact many other countries, but it also sets a precedent. Italy has followed suit in electing a coalition Government borne out of the desire for change. With the far-right coalition suggesting the appointment of a euroskeptic finance minister, President Sergio Mattarella has stepped in to deny the selection. This unheard of move has caused Italian bond yields to plunge more than at any point since the Euro’s inception in 1999. This leaves Italy in a state of limbo with the new Government wishing to spend its way out of trouble at rates which would break EU guidelines. This demonstrates their desire to be the next to leave the single currency and return to controlling its own political destiny. We’re all enjoying our stocks going up in value in our pensions and ISAs. But all good things must come to an end. Analysing stock valuations over the past 150 years, depicts bull runs lasting up to 6 years, immediately followed by a market correction. The Dow Jones and FTSE indices are now enjoying their 9th year of rising prices, so the law of averages tells us that the downturn is overdue. Maybe it will keep rising indefinitely? An analogy would be the city of San Francisco. History and science tells us that being located on the San Andreas fault guarantees future earthquakes. With many of the current residents have enjoyed years without a major quake, it’s naïve to suggest it will never happen. It will happen, we just don’t know when. What we do know is the longer it goes without a quake, the bigger the damage when it does occur. The same can be said of stocks. Each day we read about more major brands either shutting stores, making redundancies or even going into administration. This isn’t just small independent shops in the high street, but major mega brands such as House of Fraser, BT, Sainsburys & Asda, Toys R Us and Maplin. On an evolutionary note, commerce is changing at the fastest pace for a century with online giants like Amazon squeezing profit from physical stores and automation replacing human jobs. This will only continue with technology. Many market experts predict a major stock market correction with the Fed Reserve starting to raise interest rates in the US. Closer to home, wages are stagnant and credit bubbles are almost at bursting point with car leasing and zero percent credit card deals. What would be the impact on gold and property? Clearly, when stock markets tumble, every investor feels the pinch, jobs are lost and day to day income is impacted. This takes any heat from the stock market as fewer borrowers are able to raise the funds to move house or pay high rent. This is also the very time, that institutional and savvy retail investors switch their attention to gold. As a safe haven, it tends to receive a significant injection of investment demand during such market downturns. The great thing is that you don’t need to choose between property and physical gold investment. If you’re already a keen property investor, then it may be worth taking your first steps to gold investment to hedge your portfolio. As we’ve seen, possible threats to one asset class can be a benefit to the other. That way the two investment rules are met: property & gold are simple, tangible assets and timing becomes less of an issue if you own both. Do you need to be lucky with timing? Timing and cycles can make a huge difference on your investment returns. While gold prices could rise or fall in the coming months, the odds are convincingly in favour of now being a great opportunity for physical gold investment. Rather than try to time the stock market or property sector downturn, invest in gold now while prices are relatively low. It’s better to have your portfolio insurance in place 6 months, or a year before the downturn, than one day after. 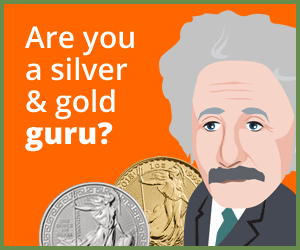 Is gold investment for you? If you have decided gold investment is for you then look no further than Physical Gold. Why not call our experts on 020 7060 9992 today?